Fighting on the front line, rescue groups and shelters are one of the most important cogs in PetRescue’s life-saving machine - without them, we wouldn’t be able to deliver Australia’s largest directory of adoptable pets to the pet-seeking public. We caught up with Joanna from one of PetRescue’s longest-serving rescue groups, Pug Rescue & Adoption Victoria Inc., to talk about what has changed in the ten years since we launched our website, and how working with PetRescue has changed and is changing the way animal rescue is run in Australia. 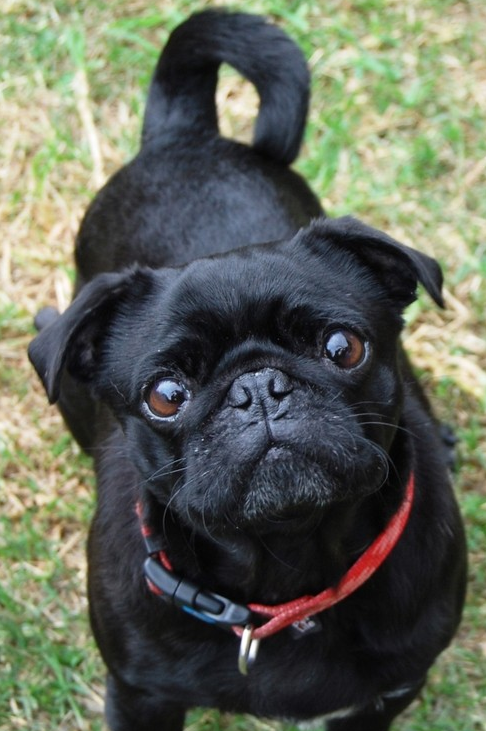 “I was a foster carer for quite a few years prior to forming Pug Rescue, and had witnessed the work of PetRescue first hand and also had great reports from other rescue industry colleagues of the great work PetRescue undertook. When we formed our foster based organisation in 2006, one of the first things that we immediately did was apply for a rescue group membership! It’s made a big difference to how we rehome pets and we would be lost without the services PetRescue is able to provide to us and so many other organisations like us. “As a small rescue group run by volunteers, with limited funds, resources and limited time the greatest appeal in signing-up for PetRescue membership was the ability to reach a massive audience of adopters that we otherwise wouldn’t be able to reach with our resources. “Another reason was that PetRescue had really started to build a great reputation for supporting little groups and organisations, not just big ones, enabling us to participate in promotional events that we would otherwise not have the resources to do so. Through her role at Pug Rescue, Joanna has witnessed a big shift in the way that rescue operates across Australia. “I think the standards of rescue in general have lifted across the whole process, from vetwork to transport and rehoming. Things like the application process and meet-and-greets with potential adopters have all become more professional, in my opinion. "10 years ago a dog or cat may have only had basic vetwork and be adopted to whomever was interested which might not be in the particular animals best interests. These days rescue groups perform major vetwork including repairing luxating patella’s and performing cataract surgery and potential adopters actually expect to have to go through the steps of submitting adoption applications and having house/yard checks. “And, of course, we can now easily post listings, update details, add pictures and video through PetRescue listings - it’s so different to how it was 10 years ago.” So simple in fact, that since joining PetRescue, Joanna and the team at Pug Rescue have rehomed 300+ pugs! “I think we have a long way to go, speaking from an animal welfare perspective. But saying that, in the past few years the public awareness and knowledge of animal welfare and rescue and its associated issues has really undergone a big change. Knowledge is power, information is liberating, education is the premise of progress” is one of Joanna’s favourite quotes and PetRescue has played and does play a big role in Australia’s animal welfare in delivering knowledge and information and educating the Australian public about adoption and rescue options as well as general animal welfare issues.